During summers my skin becomes so oily that it looks like a frying pan. So once a week, I take up a deep cleansing regimen to get rid of the excess oil and control shine. 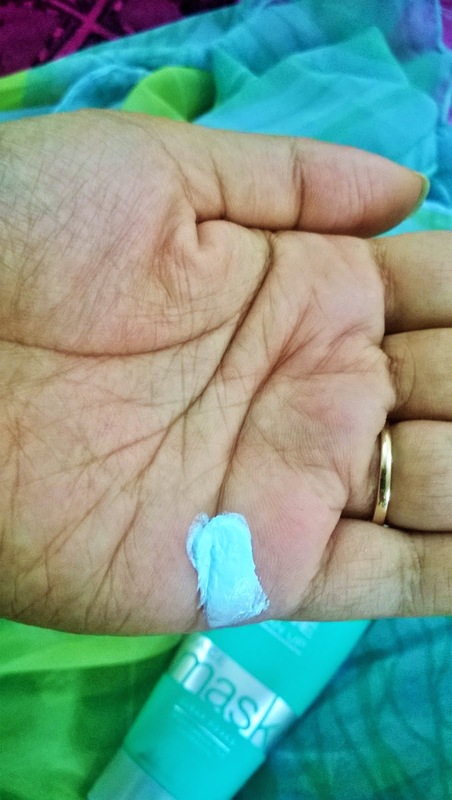 For this I have been using the Lakme 3 Steps Clear Pores Clean Up this whole summer. 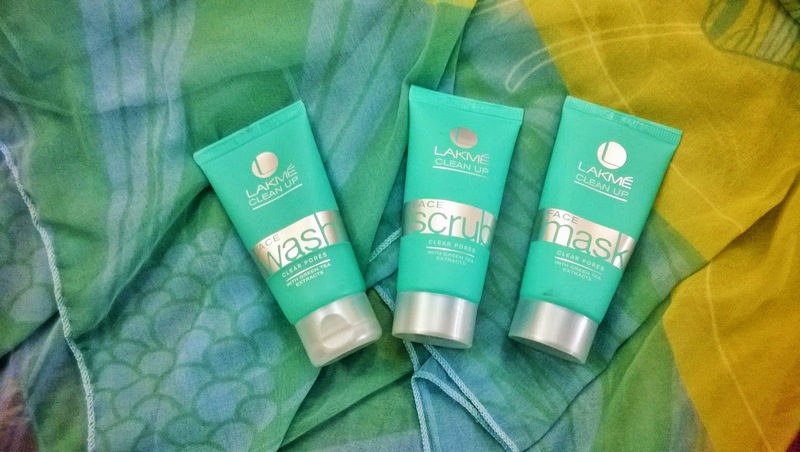 Lakme 3 Steps Clear Pores Clean Up is formulated with green tea extracts that help to control oil, prevent breakouts, treats blemishes. 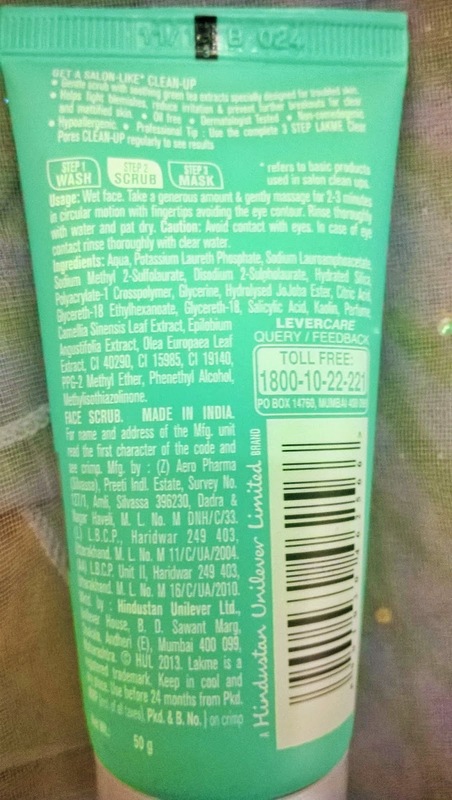 Packaging: All the tubes in the Lakme 3 Steps Clear Pores Clean Up look similar with the description only differentiating them. A sea green tube and silver fonts with white caps make the kit look very fresh and cute. 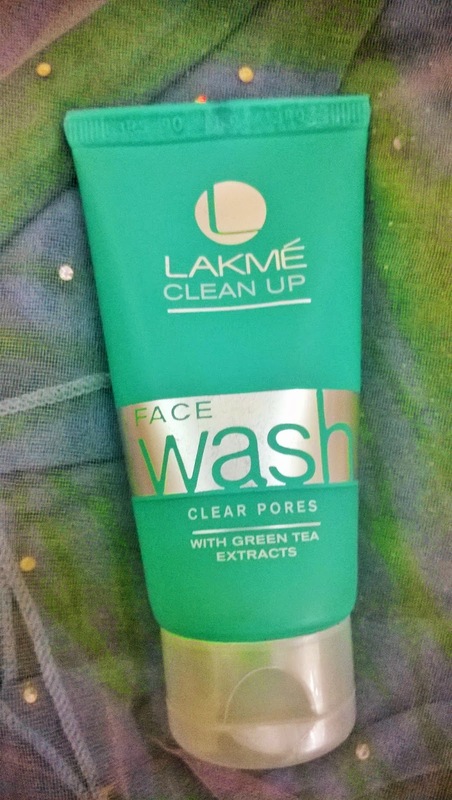 Step 1: The first step of the Lakme 3 Steps Clear Pores Clean Up starts with the Lakme Clear Pores Clean Up Face Wash. 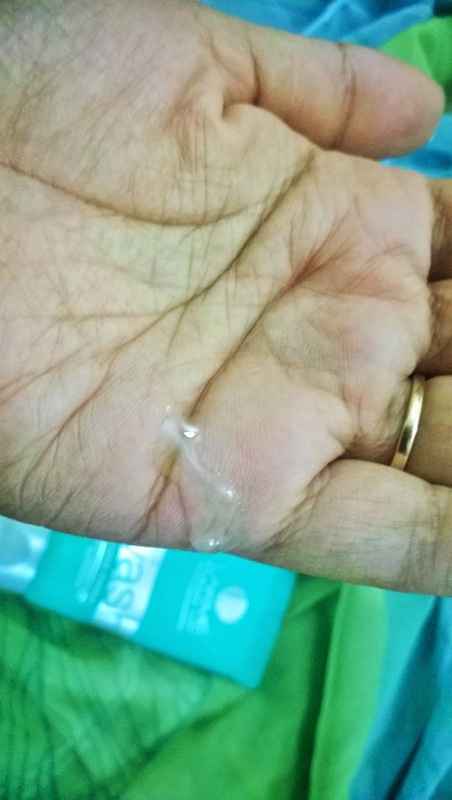 The Face wash is a very pretty light green gel that creates s decent amount of lather. You need a very small amount of the product for the entire face. The face appears very clean and surprisingly does not get dry. 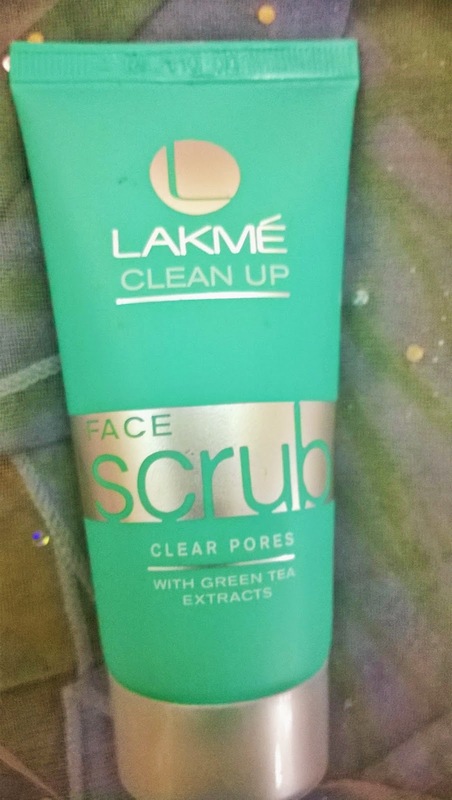 Step 2: The second step of the Lakme 3 Steps Clear Pores Clean Up is the Lakme Clear Pores Clean Up Scrub. The Scrub is minty green in colour. The granules are quite fine. However, they are not harsh to the skin. It gently cleanses the face with 2 minutes of massage. It gently exfoliates the skin and makes it feel super clean. 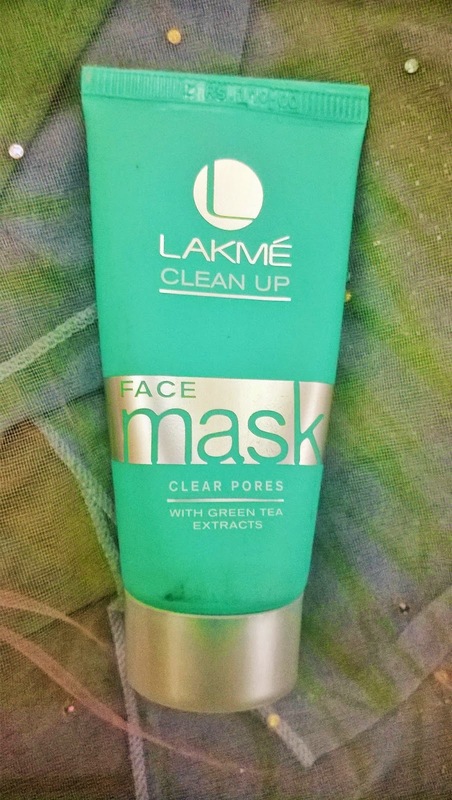 Step 3: The third step of the Lakme 3 Steps Clear Pores Clean Up is the Lakme Clear Pores Clean Up Mask. 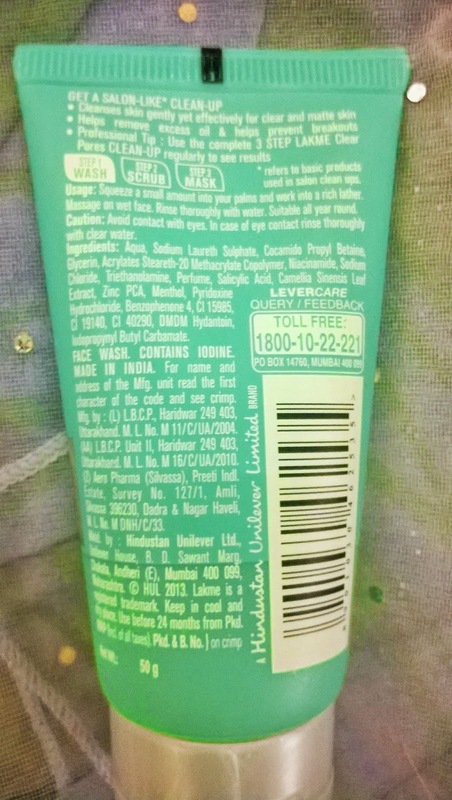 It is a creamy mint coloured mask. This is a very effective product that actually does the deep cleansing part. 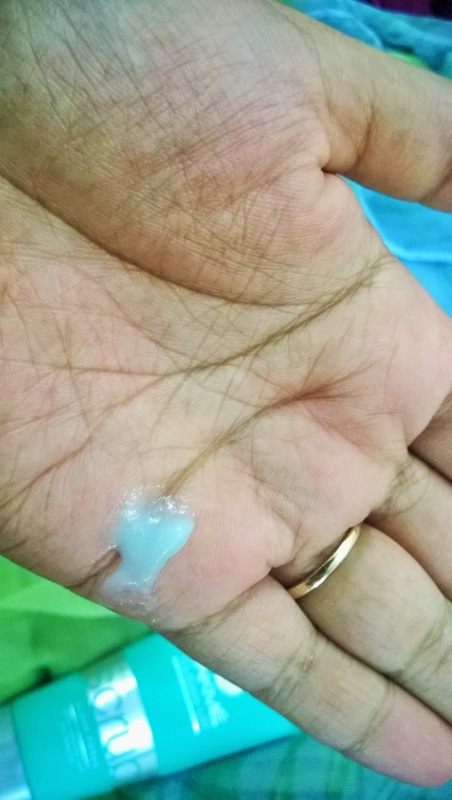 It totally absorbs the oil from the skin and my skin feels absolutely oil-free and fresh. However, I would like to mention that it is better to follow up with an oil-free moisturizer for a hydrated feel. 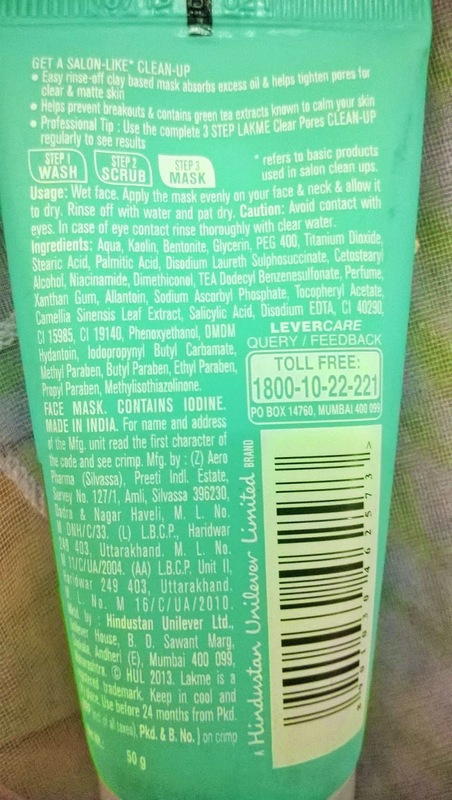 This mask is not at all suitable for dry skin. 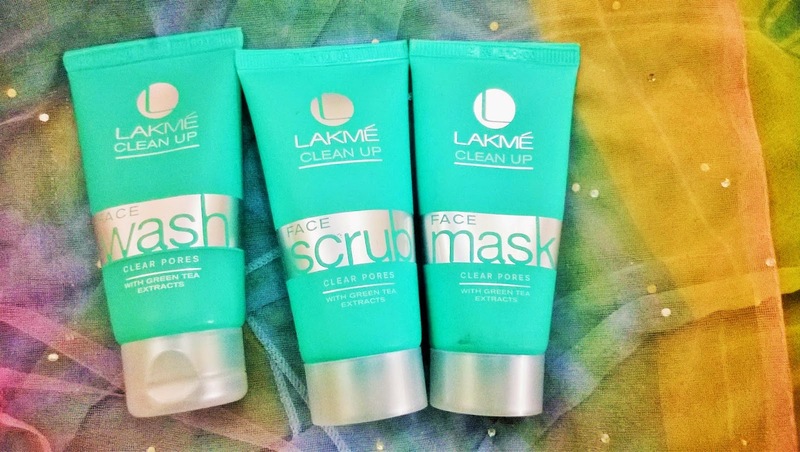 Overall I feel Lakme 3 Steps Clear Pores Clean Up is a superb home clean up kit for oily skin. Beauties who want their faces to be squeaky clean without any shine and grease can get a matte skin within few minutes and through some easy steps. 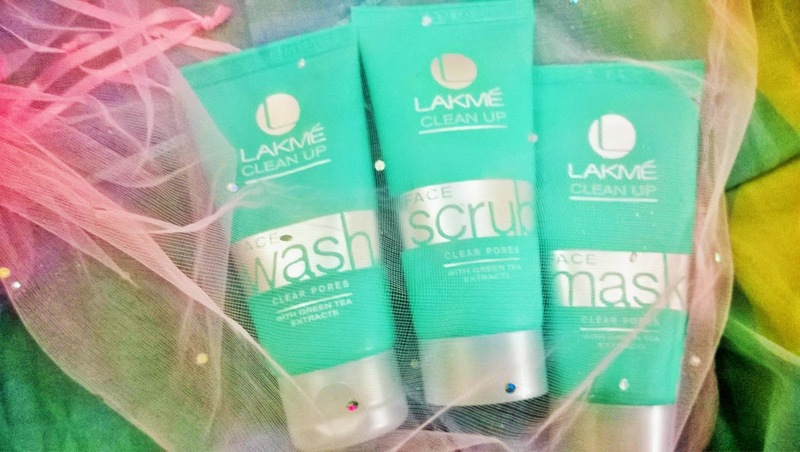 Lakme 3 Steps Clear Pores Clean Up is a wonderful kit that can give you a great clean up within 10 minutes. If you want a shine-free fresh skin this kit is a must for you.